This is a song after my revolutionary heart. We know Reggae roots as righteous music, but Bob Marley and Peter Tosh remind us that their music is as much about celebrating the most high as it is about mashing down Babylon, especially Tosh’s version. He makes you want to punch your fist with punk aggression as much as move your soulful hips. My all time favorite version is on 1991s Talking Blues. Peter Tosh tearing it up at the Greek Theater Berkeley, CA. 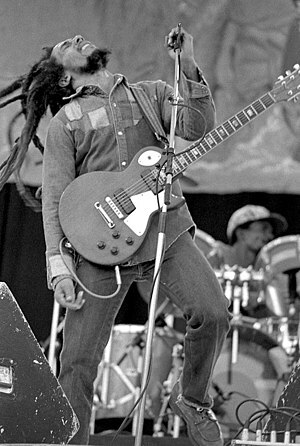 This is a reggae blues by Bob Marley and The Wailers. The lyrics are simple and straight forward but the song is marbled with delicious emotions. Watch these unique performances and feel a reggae that edges precariously on becoming new age prayer. Keep in mind this is the song often associated with the soundtrack of Marley’s funeral procession as it has a dirge like quality and was used for that purpose in the great documentary, Bob Marley.